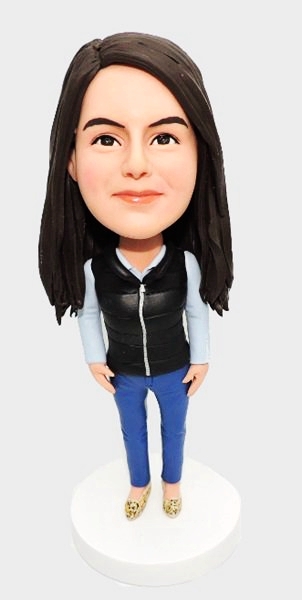 What if I hate my bobblehead? Can I cancel or refund? Yes, we offer quantity discounts. Please visit our discount information page or email us for a quote and let us know how many copies you will need. The discount level will increase with the quantity ordered. 100% satisfaction guarantee. You may cancel your order at any time before we begin to process your order and receive a full refund. 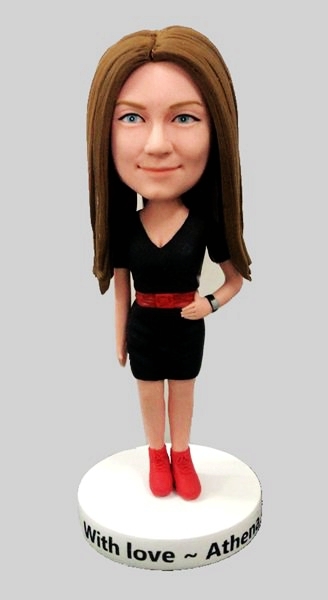 Realbobble is simply different from other providers because we sculpt with the finished product! Most bobblehead providers use poly resin clay and then they bake and mold the dolls - apply paint and the doll is yours...Realbobble uses Polymer Clay - the color is the clay so the final product is actually brighter, true 3D likeness and higher quality, 99% clients love the bobblehead we made. Sculpted Head - we will hand sculpt the head to resemble the primary photo you attached to the order. At this time, you will be able to make any changes to the facial propertities, nose, mouth, skin texture, etc. Changes are done if necessary at no charge to you. Once you approve the item we continue to the next phase. Once approved, The head will be baked and no further changes to the face can be made. Complete proof - during this stage, we will show you the finished product, during this phase and with all your previous feedback, most customers are happy and approve their doll to have it shipped. At this stage, only the logos can be changed as your doll is completely baked and can not be changed. We have to re-sculpt the head/body if you want to make any other changes at this stage, and we will charge $20 USD to re-sculpt a head/body.